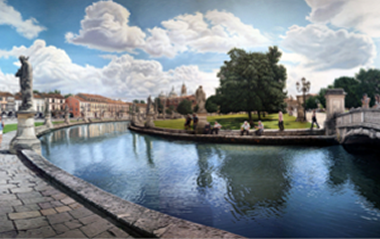 In Padua, history, art, culture, nature, science and spirituality blend in a unique mix that makes the visit a complete enjoyment. 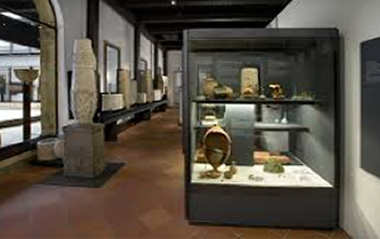 The Civic Eremitani Museums, prepared in the beautiful restored rooms of the ex monastery of the Eremitani monks, offer a wide overview on the Roman Palaeovenetian history of the city. 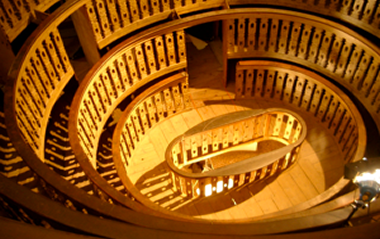 The Risorgimento and Contemporary Age Museum, prepared in the rooms of the noble floor of Caffè Pedrocchi, collects memories of the events and protagonists of the history of Padua, from the fall of the Republic of the Veneto (1797) to the promulgation of the Republican Constitution (1948). 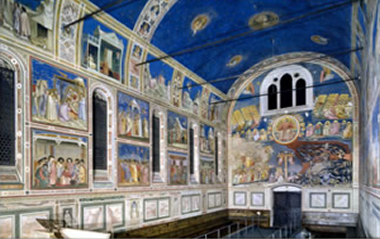 The Scrovegni Chapel is a masterpiece in the history of fourteenth-century Italian and European painting, and it is considered the most complete series offrescoes made by the great Tuscan master, Giotto, in his maturity. The sense of nature and history, humanity and faith are mingled in the narration of the stories of the Virgin Mary and Jesus in a unique way. Since 1831 this neoclassical building has been a favourite of Stendhal and other pillars of Padua’s cafe society. Divided into three rooms: red, white and green (the colours of the Italian flag), thePedrocchi Caffè has long been a place of intrigue and revolution. The green room to the right of the bar was a ‘no obligation’ lounge where intellectuals could come and talk, while the white room bears a small plaque marking the spot where a bullet struck the wall in the 1848 student rebellion. 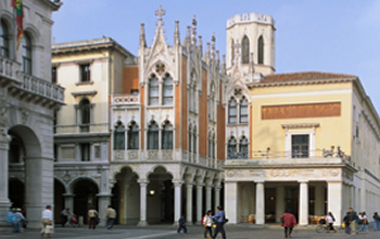 The University of Padova was established in 1222, after a group of students and teachers decided to come here from Bologna. They set up a free body of scholars, who were grouped according to their place of origin into nationes, in which students approved statutes, elected the rettore (rector, or chancellor) and chose their teachers, who were paid with money the students collected. Defending freedom of thought in study and teaching became a distinctive feature which today lives on in the University motto: Universa Universis Patavina Libertas. The Basilica of Saint Anthony, known as “Il Santo” (“The Saint”), is the most important religious center of the city and attracts over 5 millions pilgrims every year especially on 13th June, the feast of the Saint. 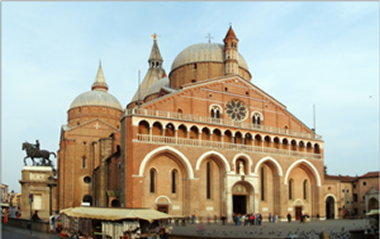 The Basilica was built in 1232 to guard the tomb of the Franciscan friar Antonio, who died in Padua in 1231.